Add-ons: Arrive March 1 and take a regional cooking class on March 2. 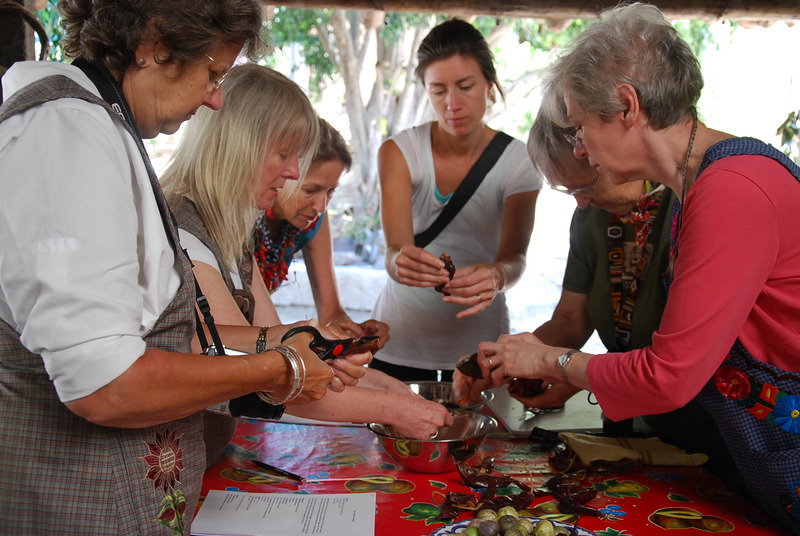 Depart on March 10 and go on an artisan villages excursion on March 9. Imagine a setting so beautiful that it inspires all the best within you to write and create. Here, amid the bougainvillea blossoms and in the shade of ripening pomegrantes, with the backdrop of 9,000 foot mountain peaks, you will enjoy a rich and rewarding experience. Our all-inclusive retreat is perfect for renewal and self-reflection. With Professor Robin Greene, MFA, guiding and coaching you in a supportive small group atmosphere, you’ll be encouraged to find your own creative center and to surprise yourself with the power of your words. You’ll have the opportunity to work with memoir, journaling, poetry, and mixed genre writing in an intimate workshop environment. See what 2011 participant Sue Spirit wrote about the retreat. Her essay was published in All About Women magazine. We cannot promise that you will win a poetry prize (as one of our participants did this year after writing her award-winning poem at the retreat) or be published in a magazine! We can promise that you will stretch, explore, and develop as a writer. Offering 5 CEUs for 15 contact hours of instruction awarded by Methodist University. This applies to educational license recertification. If you are working on a project — bring it. If you have something in mind but haven’t yet put it to paper (or computer), this is the place to do it. 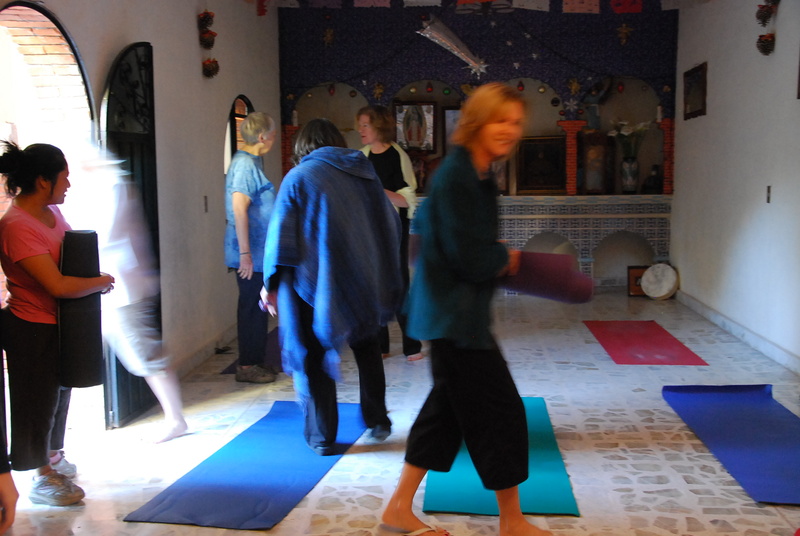 In addition, we include daily yoga sessions with our incredible yoga maestra Beth Miller, who employs movement, chanting and “vocal yoga” using the breath to find voice and creative center. The retreat is designed to accommodate both novice and experienced writers, and it is limited so as to offer an especially satisfying small group experience. Through writing exercises, discussion, caring feedback, and the simple gift of time, you’ll gain knowledge and perspective about the art and craft of writing. Our goal is to empower you to tell your story well, and to lift and share your voice—widening your lyrical range and adding to the tools in your narrative toolbox. In addition to daily writing exercises in organized sessions, Robin will meet one-on-one with participants so that each writer feels nurtured and personally served. You’ll have an opportunity to retreat and write on your own during open time in the schedule if you choose, but there’s also plenty to do here. We’ve scheduled daily yoga, stretching and meditation sessions, and there’s ample time for other activities such as walking, hiking, bird-watching, and visiting village weaving and artists’ studios. Traditional cooking class (includes lunch) — stay one more day to participate! There are lovely walking paths around the village, along the river and into the countryside near a local reservoir. You are welcome to venture out and explore the village and its environs on your own. Personal safety is not a concern here. Come join us in an inspiring setting of great natural beauty for an opportunity to explore and lift your voice, enrich, and empower your world. Beth Miller is our yoga instructor who combines yogic practice and philosophy with meditation, creativity and improvisation. She specializes in Vinyasa-Hatha yogic traditions and employs sonorous yoga practices as an approach to help women of all ages to give voice to their lives. She has a background in Holistic-Health Counseling, working primarily with teen girls and young women to inspire healthy lifestyle habits. In addition, Beth is a vocal artist, performer and teacher of Western classical and sacred music. She holds a B.A. in music from Westminster Choir College, is a Certified Holistic Health Counselor, and completed the chef training program from the Institute for Culinary Education. Norma Hawthorne has produced arts and educational programs in Oaxaca, Mexico, through Oaxaca Cultural Navigator LLC since 2006. She has offered tapestry weaving, natural dyeing, painting, documentary filmmaking, and photography workshops that have been attended by participants from throughout the U.S., Canada and from as far as Australia. During her twenty-five year career in higher education, Norma has organized national award-winning continuing education programs for Indiana University, University of Virginia, and George Washington University, and has raised more than $20 million for The University of North Carolina School of Nursing. She holds the B.A. from California State University at Northridge and the M.S. from the University of Notre Dame. To keep this program affordable, we have selected clean and basic accommodations at a woman-operated bed and breakfast inn that is part of their family compound. Josefina, along with her mother-in-law Magdalena and daughter Eloisa, prepare delicious meals from scratch. Base Cost: $1095 per person double occupancy with shared bath facilities. Single rooms are available with a single supplement. A limited number of double occupancy rooms with private bath, and single occupancy with private bath are available. Please indicate your preference below. [ ] Option 1: I will share a room, double occupancy with shared bath, $1095 per person. [ ] Option 2: I prefer a single room with shared bath for a total of $1195 per person. [ ] Optional 3: I will share a room, double occupancy, with private bath for a total of $1195. 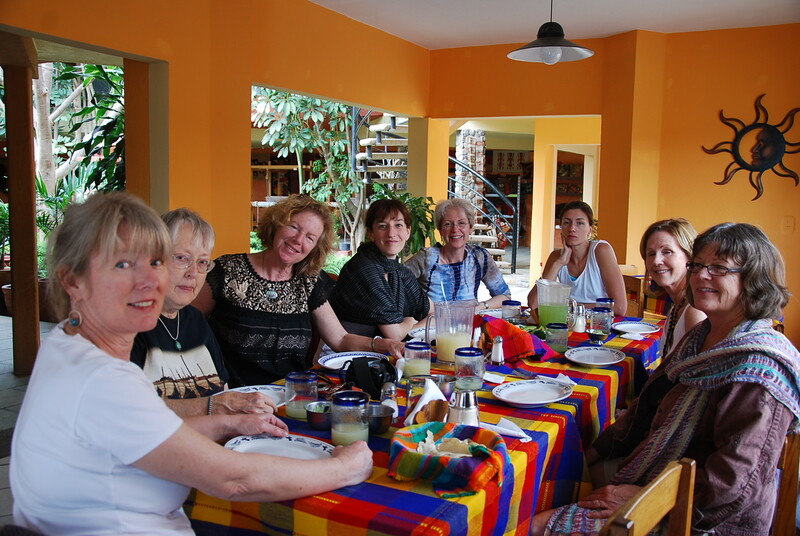 [ ] Option A: 5-hour Zapotec cooking class, includes local market shopping tour and lunch, on March 9. Add $110 (includes class,one night lodging, three meals). [ ] Option B: One-hour massage, to be scheduled during open times in the weekly schedule. Add: $45. [ ] Option C: 5 CEUs (Continuing Education Units) for 15 contact hours of instruction, with certificate of completion, $75. 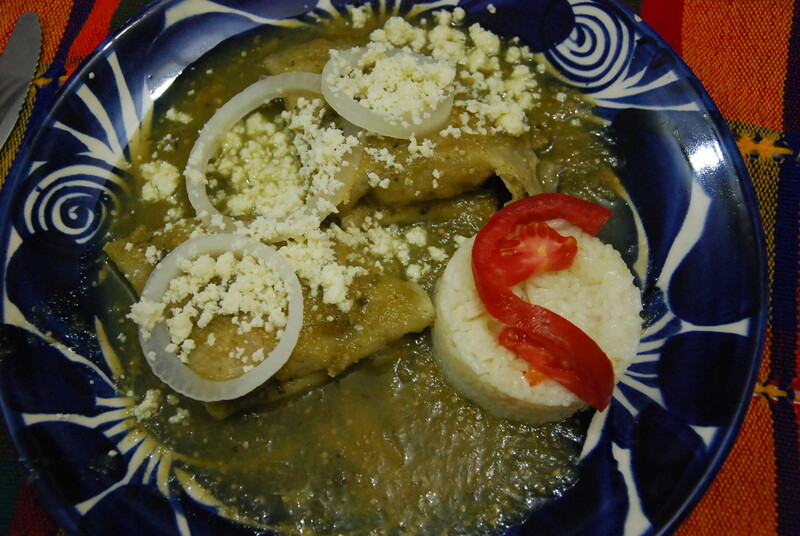 [ ] Option D: Cooking class on March 2, add $110 (includes lodging on March 1 in Teotitlan del Valle). A 50% deposit based on your preferred options is required to guarantee your spot. The final payment for the balance due (including any additional costs) shall be postmarked by January 1, 2012. Payment may be made by check or PayPal. We will be happy to send you an itemized invoice. Please see our cancellation policy in the “Register + Refunds” section of the front page – tab is on the banner. We strongly recommend that you take out trip cancellation, baggage, emergency evacuation and medical insurance before you begin your trip, since unforeseen circumstances are possible. 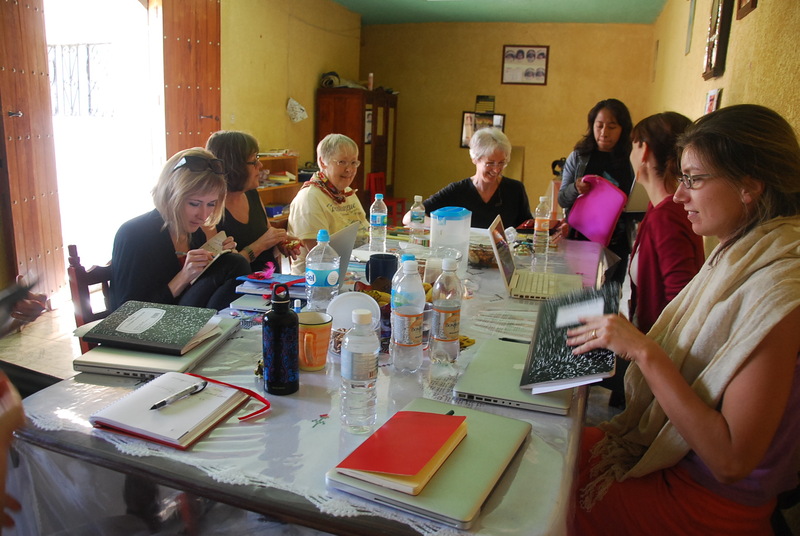 This entry was posted in Cultural Commentary, Teotitlan del Valle, Travel & Tourism, Workshops and Retreats and tagged blogsherpa, class, course, creative writing, memoir, Mexico, non-fiction, Oaxaca, poetry, retreat, Robin Greene, tourism, travel, workshop, yoga. Bookmark the permalink. Is there space still in this retreat? Yes, Ahava. We have 3 spaces left. Let me know if you wish to register. Thank you. My friend Vicki and I are exploring retreats available in 2012 and are wonderfing if you have availability for the March 2012 session. Your retreat looks very inviting, but before any commitment can be made we both need to figure out the logistics and request vacation approval from our employers. So we thought we’d start at the beginning and find out if you have space, or not. And if not, do you have other 2012 dates. Or different locations.